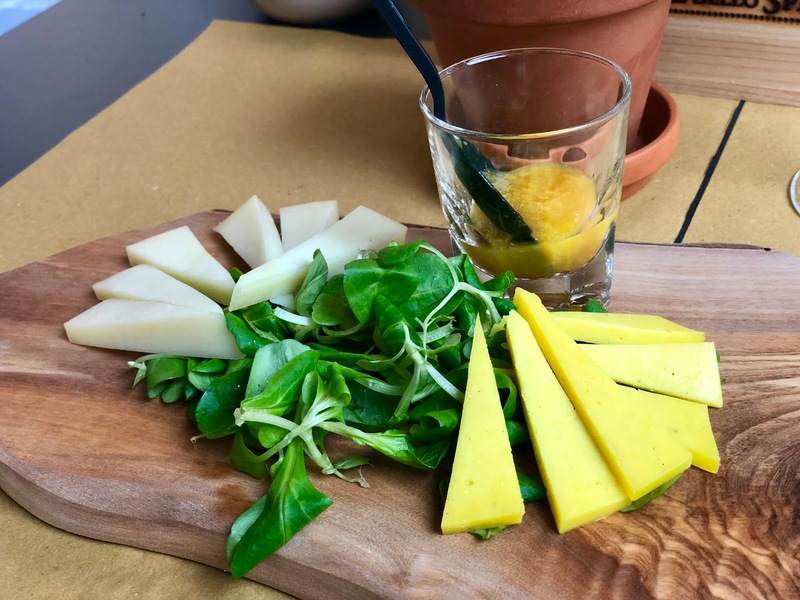 Whilst checking out TripAdvisor and gaining advice from other bloggers etc about food tours in Pisa, we couldn’t get away from the strong recommendation of the Pisa Explorer. Unfortunately they were fully booked for the date we planned to visit, but that didn’t stop the explorer himself, David, from getting in touch and offering a couple of hours of his time to show us around his glorious city. With him already running his usual 4 hour-long tour earlier in the day, we expected a couple of bites and a nice chat. We certainly had the latter, with not only him but all of the restaurant owners that we stopped at, but we also left incredibly full and left feeling like we’d completed one of the largest food tours we’ve been on (nine and counting). We began with a glass of D.O.C.G Tuscan white alongside pecorino cheeses, one seasoned with curry. The valerian salad and fruit compote to go with gave an enormous kick of extra flavour and tickled every taste bud as it went down. It was a light start to proceedings, but perhaps one of our favourites along the way – the cheeses were unbelievable and like none than we’ve had before. 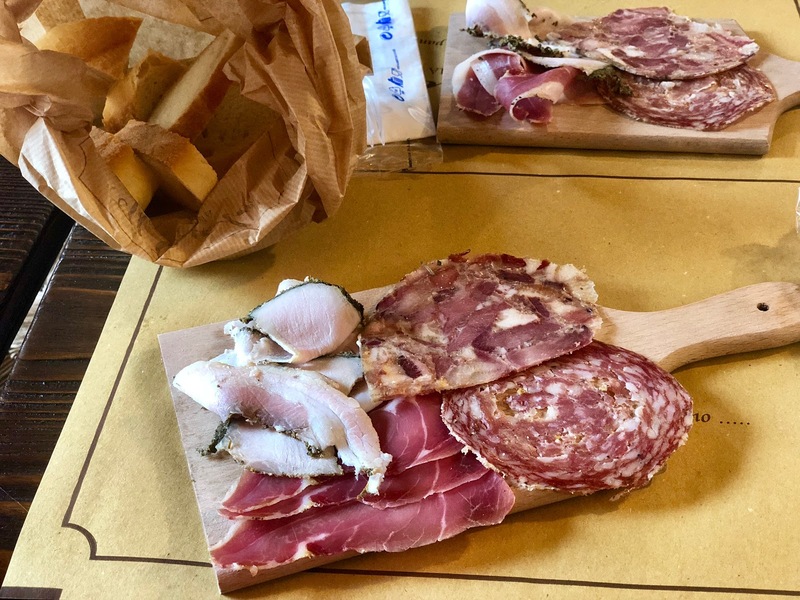 We sheltered from the only rain we had in our entire time in Italy and stayed put at the first stop for typical tuscan aperitifs and appetisers. 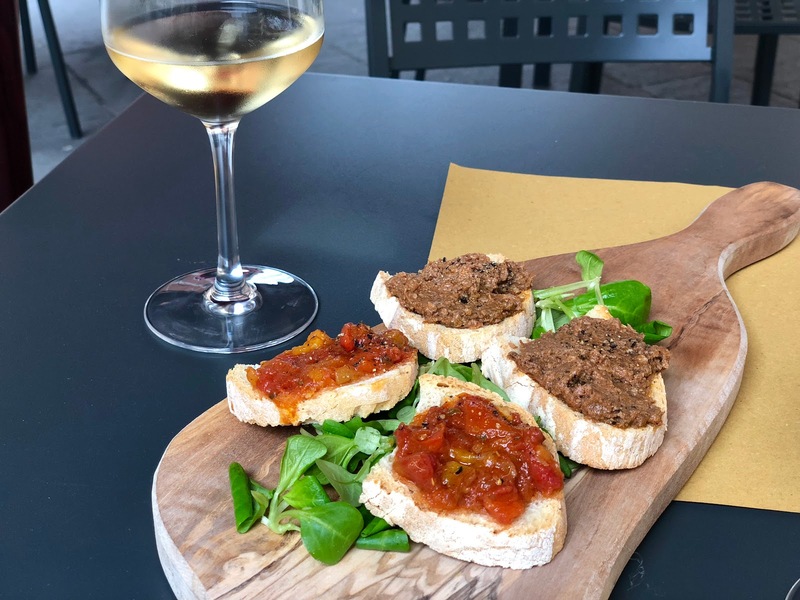 The first photo shows one of many glasses of wine we had along the way, this time a Vernaccia which went perfectly with the crostini – one vegetarian with fresh tomato and sweet pepper, the other with liver. Next up was something we’ve never had before – Cecina. La Cecina Toscana is a Tuscan chickpea flatbread made with only chickpea flour, water, olive oil and salt. 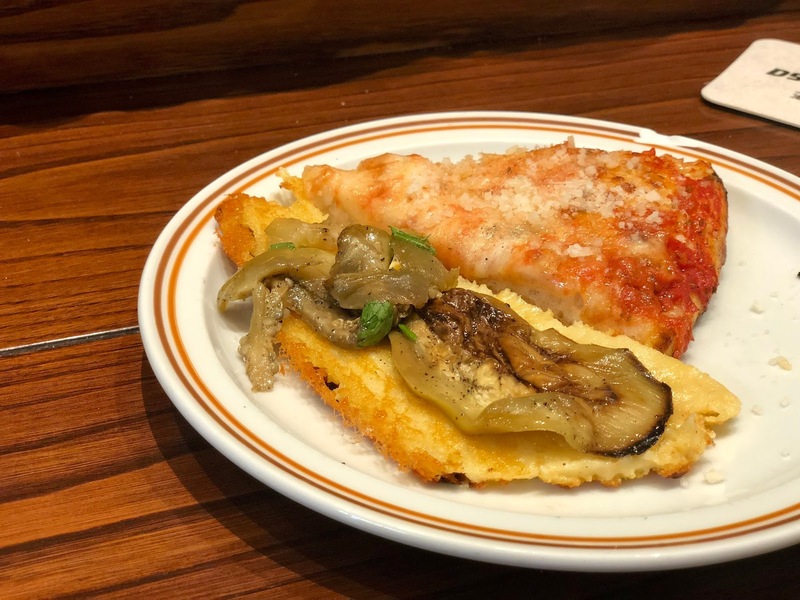 It was topped with marinated egg and followed by Pizza Pisana which on the face of it just looks like a classic Margherita. You’d be almost right if you think so, however this has both buffalo and cow mozzarella with extra parmesan on top. The crunchy base and copious amounts of cheese made it one of the simplest but also best pizzas we had in our two weeks in Italy. After Pappa al Pomodoro, homemade lasagne and a glass of Chianti red wine (very apt considering our day in that region the day before), we ended our time with David with four different cold cuts and fresh local bread. 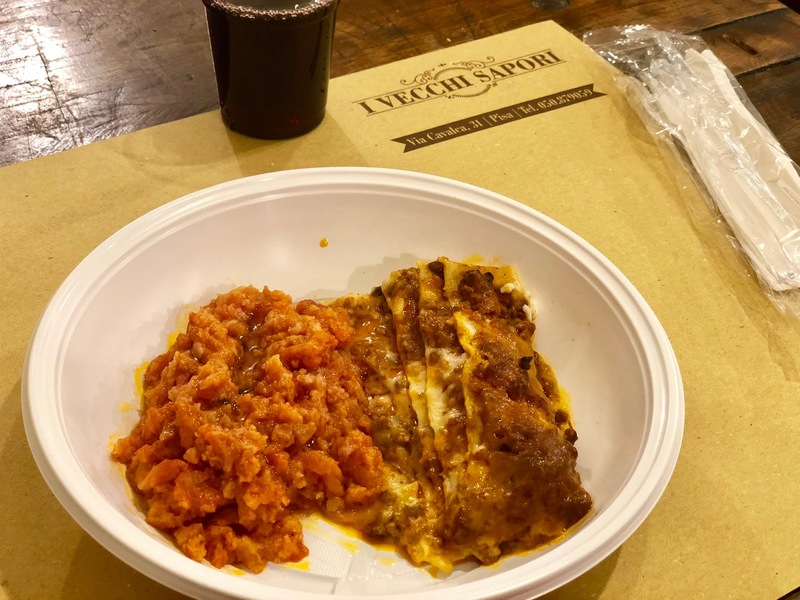 With bellies full of the most incredible food and an equal amount of wine, we headed back to Florence ready to move up to Venice the next morning. Should you be in Pisa any time soon, make sure you make time for more than just the leaning tower and check out one of the Pisa Explorer’s tours. The food tour will allow you to understand the traditions and culture behind what you’re eating and see the city from a different angle. David had absolute amazing knowledge and we left feeling like we’d made a new friend. A massive thanks to him and his insight into everyday life of the people living in Pisa. Disclaimer: we were given a complimentary tour in exchange for a mention in this blog post and coverage on social media. However as always, all pictures and views are our own. And how lovely was it** – apparently I can't type today! This is so cool! I’d looove to go to Italy for the history and the food, so combining them both is perfect!